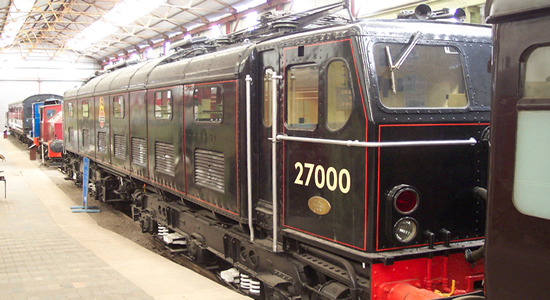 Originally mooted in 1969 by Derby Corporation to commemorate the Midland Railway's heritage in the region, the Midland Railway Centre has since grown into a fascinating place to visit. 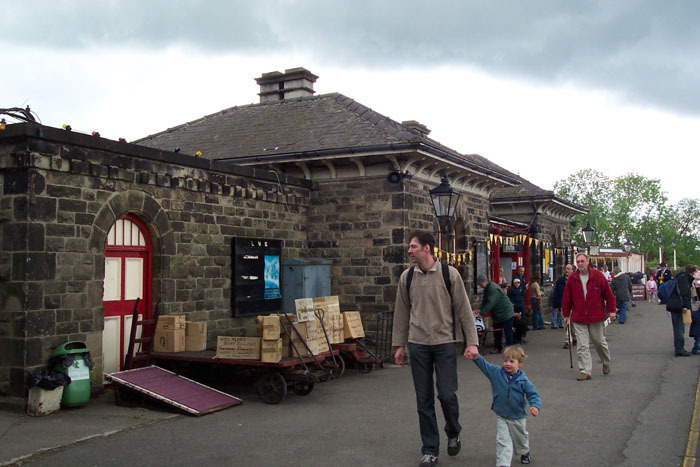 Notwithstanding the heritage steam services operated along the 3.5 mile route, the considerable Midland Railway Museum and numerous locos and rolling stock housed at the site make this one of the most significant heritage railway centres in the UK. 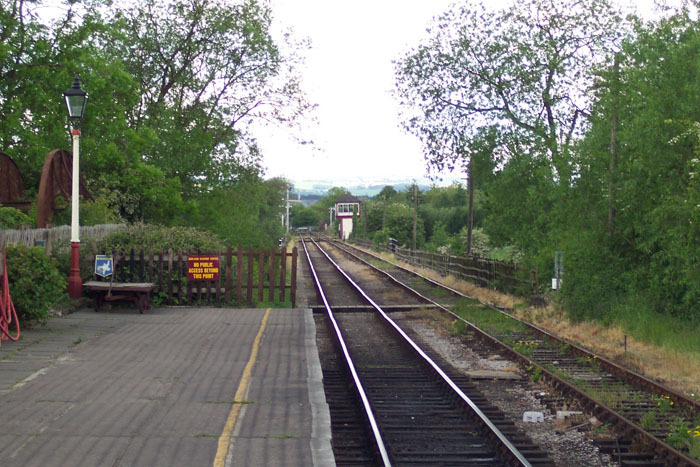 Originally Whitwell station in North Derbyshire, the station building at Butterley seen here was moved and installed here in the early 1970s as the original building had been demolished. A view West from the station with signal box in the distance. 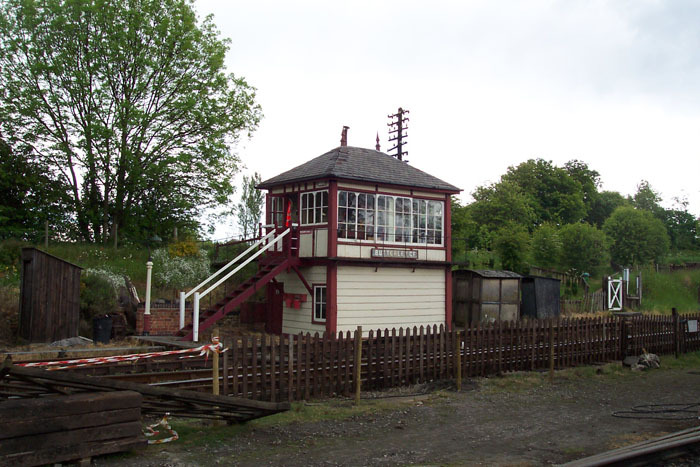 Butterley station signal box adjacent to the Carriage and Wagon department yard. 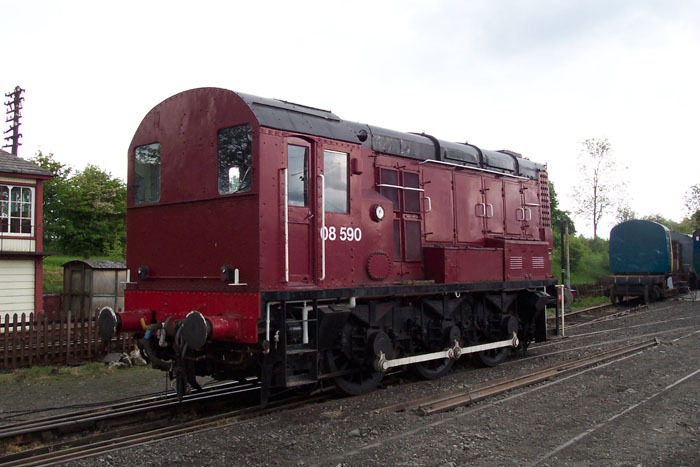 Class 08 diesel shunter No.590 seen here in the Carriage and Wagon department yard at Butterley. 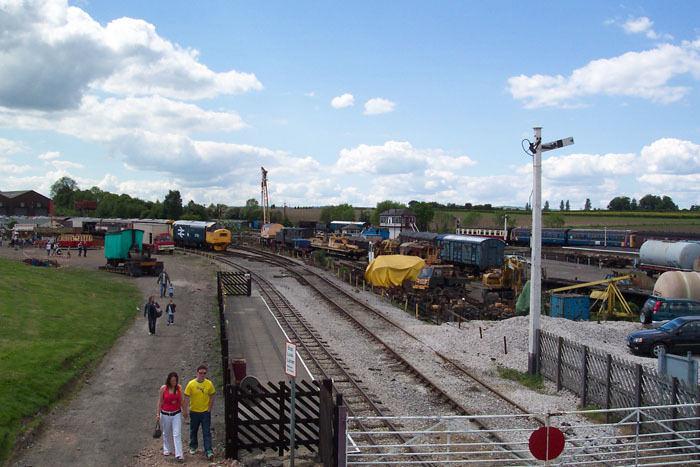 Originally a slag heap, the facilities at the present-day Swanwick site are seen from the top of a signal box with the museum to the left and station to the extreme right. 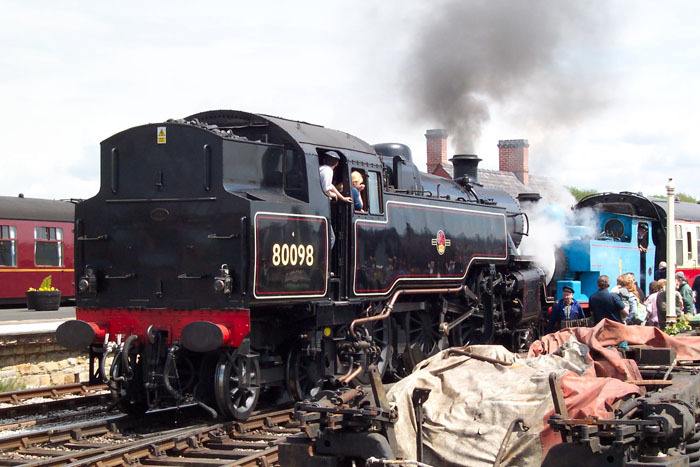 Ex-BR Std 4MT 2-6-4T No.80098 gives 'Thomas the Tank Engine' a helping hand at Swanwick. 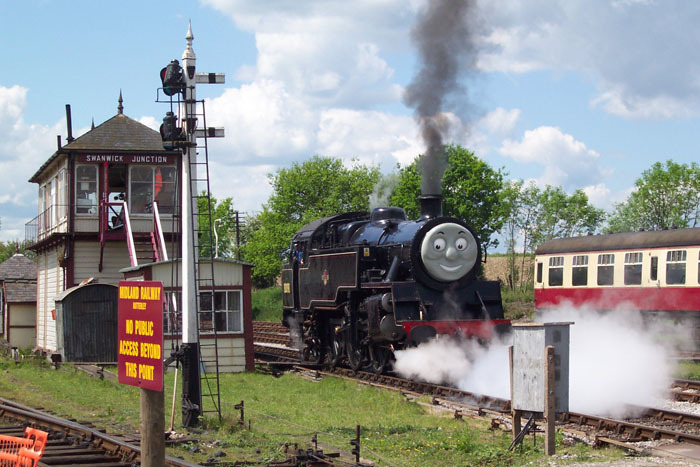 Ex-BR Std 4MT 2-6-4T No.80098 on a 'Thomas the Tank Engine' themed weekend passing Swanwick Junction signal box. 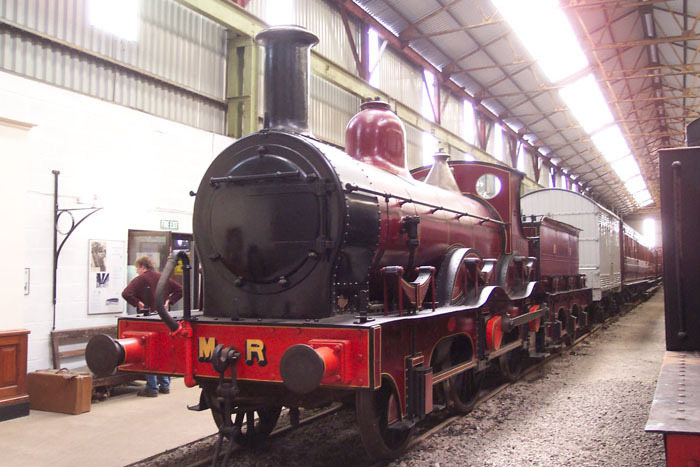 The oldest surviving Midland loco, Kirtley 2-4-0 No.158A built 1866 in the Museum at Swanwick. 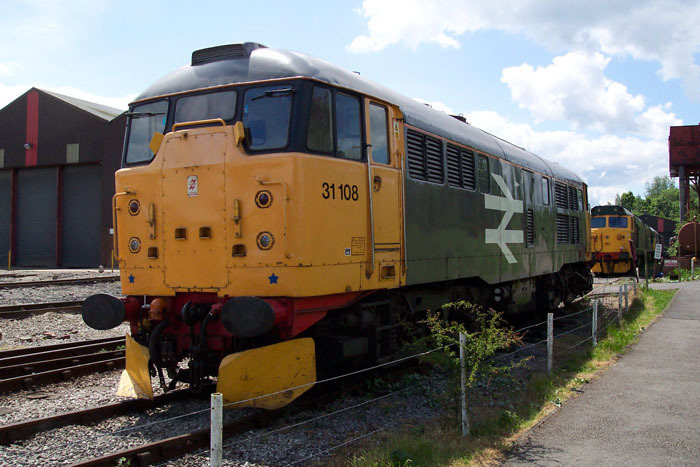 31108 (D5526) in sidings adjacent to the Museum at Swanwick. 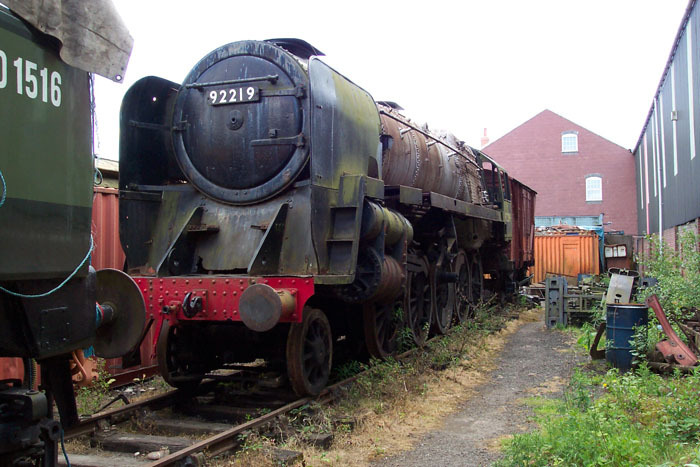 Bought from Barry Scrapyard in 1985, 9F No.92219 awaits restoration at Swanwick.